One nation making remarkable progress towards sustainable agriculture and food security is Venezuela. 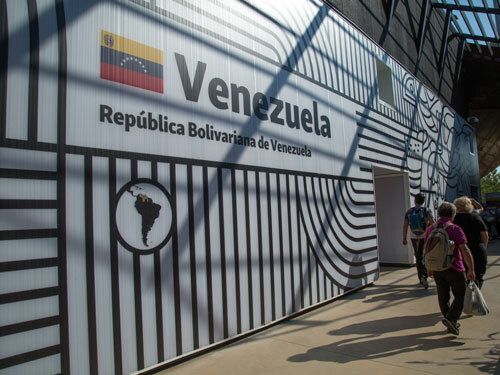 At Expo Milano 2015, Venezuela presented its achievement in meetings FAO’s ‘Zero Hunger Challenge’ goals and its work towards eliminating poverty; displayed the culinary traditions of various regions; highlighted its distinctive dining culture; and showed how it’s innovative agricultural systems can be applied internationally. Aspects of these themes were communicated with lifelike three-dimensionality in the pavilion’s hologram theatre: a pair of 3-Chip DLP PT-DZ21K projectors created living, breathing representations of Venezuelan wildlife, landscape, and culture thanks to their exceptionally high 20,000-lumen brightness. Visitors were able to interact with the holographic images, swimming with dolphins and experiencing a ride in one of the world-famous cable cars that link mountainous neighbourhoods around Caracas.